The Unique, That is You! Did you know that I have a book that gets rave reviews and it is free? You can grab one HERE! One person called me to thank me. She told me that she got more help from one chapter of my book than she had 10 years in therapy! You can listen to it, and read the chapter. I’ve included it below. Chapter 9 – The Unique that is You! 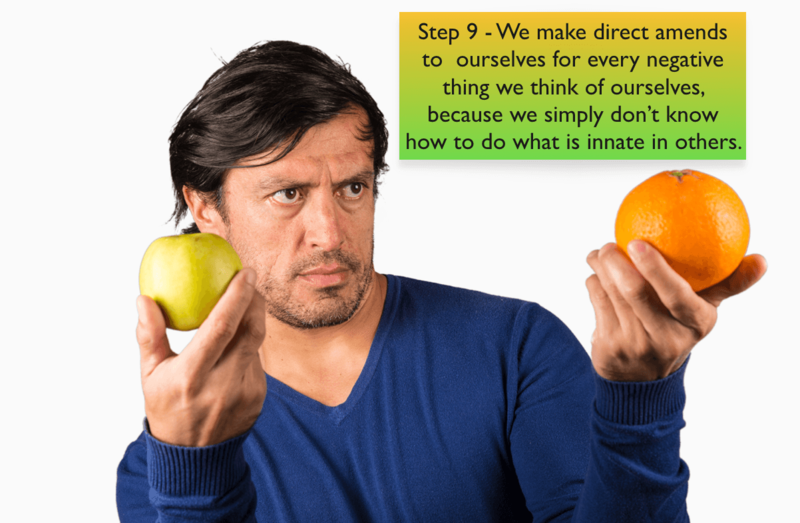 Step 9 – We make direct amends to ourselves for every negative thing we think of ourselves, because we simply don’t know how to do what is innate in others. Told from the OC’s perspective, there are things that you will learn in this book that are unique because of the perspective from which it is given. There is something called the Expert Theory. The expert cannot possibly teach their expertise to laymen. When an expert instructs, they begin in the middle. What is elementary to them is complicated to us. The expert does not understand that basic elements of a subject matter are not automatically grasped by those who are novices. So, the organized person will assume a OC knows where to start. Here is a common suggestion from self-help organizing gurus: Take note of what has to get done, make a list of those things, and then prioritize. That kind of instruction doesn’t work for us. Hearing those instructions sends us to bed with a pint of ice cream and a rerun of Leave it to Beaver, wishing that June Cleaver would come rescue us. The creative, right-side-of-the-brain, disorganized thinkers can’t break things down. We see the entire picture- the entire big mess. You want me to prioritize what? Don’t you know that to us, everything is a priority. I begin panicking just thinking about that kind of coaching! Below are two of the habits given from the book The Seven Habits of Highly Effective People, first published in 1989, written by Stephen R. Covey. This is “the expert theory” in manifestation. Synopsis: Self-discover and clarify your essential character values and life goals. Visualize the ideal characteristics for each of your respective roles and relationships in life. Synopsis: Plan, prioritize, and execute your week’s tasks based on importance rather than urgency. Evaluate whether your efforts embody your desired values, move you toward goals, and improve the roles and relationships that were detailed in Habit 2. Covey’s book has sold more than 15 million copies in 38 languages since its first publication. Oh my God! Are there that many people who understand that kind of instruction? Or, are there that many people who desperately seek success and know that it is their habits that are stopping them from achieving it? I go for the latter. This is what I think: Since the OG types are the ones who can pull off the monumental task of writing a book and getting it finished to the point of publishing; books that outline instruction as written above is all we are going to get, because it is how they think. If they wrote how we think, they would be put in a straight jacket! I actually loved the book, Seven Habits…. I did learn much from it but was not able to implement it’s direction. I have an OG friend who read it at the same time as me. While we both loved it, she got so much more out of it than I did, she was able to grasp the words and not run screaming for the freezer. I wasn’t. 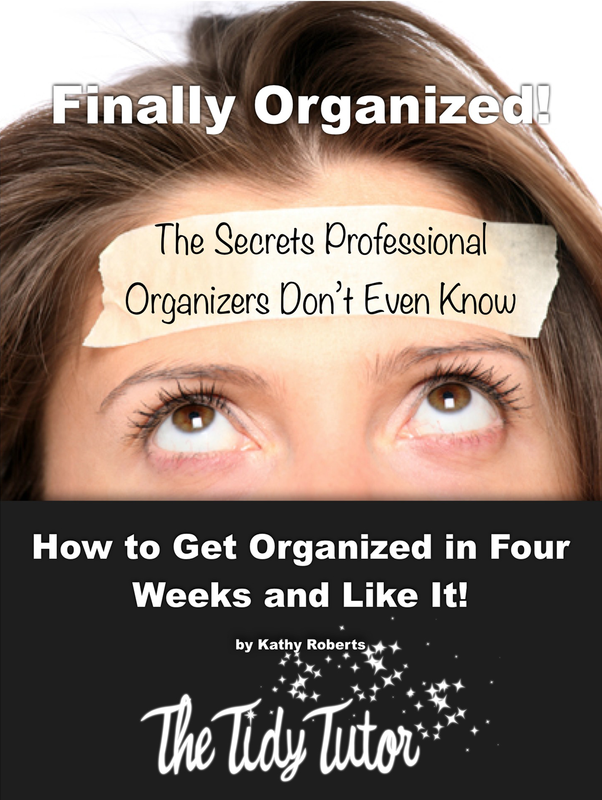 You might be saying, “Wait, you wrote this book and you are not organizationally gifted?” True… But I’m telling you that if I hadn’t implemented what I have outlined here, there is no way on earth I could have gotten this off the ground, written, and finished. It would have only gotten to the point of thought. There would have been no room for doing. It would have been difficult enough to find a pen, and even if I did get words down, I would have lost them. You must realize that for something to work, you have to work it. While I’ve really emphasized and will continue to emphasize the great qualities that are inborn, and unique to you/us, the organizationally-challenged, the slob, I must also call a spade a spade. We don’t move too fast, we don’t like to do what is not fun, we do not like to continue on a project after we have started it. Often, we need a real honest-to-goodness reason to do anything. Sometimes that reason is, well, the bathroom is dirty so it needs to be cleaned. When the bathroom is clean, we don’t believe that anything needs to be done, because it is already clean, but guess what? There is an entire group of people who think that statement is not true. The bathroom needs to be cleaned when it is scheduled to be cleaned. That is how it stays clean. Organized people don’t need a bomb to blow up underneath them to get moving. Disorganized people do. Recognizing what makes you tick will really help you to succeed using this system. This system will work if you work it, it will not work, if you don’t. Please realize that you didn’t get into the mess overnight and you aren’t going to get out of it overnight. It is a process, but the process will not begin at all unless you are willing to embrace Step 6. We are entirely ready to learn what we need to learn, and also ready to do what was needed to change our habits, homes, and lives. One of the most favorite things I say to myself is “doing nothing gets you nowhere.” This is a time-tested system that works without fail, if it is employed. Please do not cut corners once you begin and it is working for you. After you have successfully worked this program, then, by all means, tweak it so it becomes a better fit for your personal life. For now, it is for your best interest to follow the instructions to the letter. Realize that I have worked this system since 1988; it has changed through the years, as have the times. At first, it was geared toward the stay-at-home mom. There was a baking day assigned to one of the weeks’ focuses and there were two days assigned for deep cleaning. We no longer have the luxury to spend 3-6 hours on housework in a day. Through the years and through trial and error, using this system myself and helping others follow it, I am delighted to be able to share my experience and results with you. It is one of the reasons for writing this book. I have learned so much in these past 23 years, and sharing this knowledge will enable you to jump right in and get the best start possible. As I mentioned before, organizationally gifted people work at it. If you go to anyone of your friends’ organized homes on a Saturday morning, you’ll see what is going on there. Throw rugs are outside, in a heap, by the back door and there is a bucket of sudsy water on the kitchen floor. Maybe a garage door is opened and the contents of it (all 6 things) are out in the driveway while some organization and cleaning of its shell is being done. Someone might be raking and weeding, sweeping a walkway, pulling out the garbage and recycling containers to sweep behind them. Even people who have landscapers and a cleaning service every other week do this kind of maintenance. Their lives run like a clock in many respects, and it is because of this. So while you are working on getting yourself out of your mess, remind yourself that you are not working alone. Practicing anything is a bit frustrating. Anyone who has learned a musical instrument knows this, but we also know that with practice we get better, and soon it becomes easy, even enjoyable. While I am not about to say that washing your kitchen floor will ever be fun, I will say, with confidence, that having the time to enjoy life is. The feeling you get from living with order is joyful. The actual work may not be, but surely living a life that is well ordered and thereby giving us time to enjoy it is. If you are living in a mess, you might still be doing fun things, but it is at the expense of your peace. Most likely, though, you are not able to do most of the things you want to do. Spinning your wheels is a good way to describe your house cleaning routines. You are always cleaning, but nothing actually gets done. Realizing that things need to change is important, but implementing a plan to make things change is when transformation happen!